And I can tell you that I, too, agree with this statement, but I also believe that some people might become almost indispensable to a company or to a person. This means that if their actions, knowledge and attitude are outstanding, it will make it very hard for anyone to want to substitute this person – it will be very unlikely indeed that management will want them to leave, which makes this person almost indispensable to the firm. Many people appear indispensable until someone better is found who can substitute them. An example might be an individual who operates a program so well that no one else in the company is capable of operating it to the same extent. This makes the individual indispensable until somebody appears who operates the program with the same skill, but who might have a better attitude and disposition than the first person, whose bad attitude was endured because of a lack of a better alternative. Therefore, we are indispensable until someone better than us is found, and takes our place. But for someone to actually become indispensable to someone else, they must maintain a very high score in their actions, knowledge and attitude at all times. In the case of the tool I am about to share, a scale of 0 to 100% is used, and, ideally, we should all score close to 100% in all areas to make it hard for us to be replaced, thus making us indispensable. In many of the training sessions I perform, I use both self-assessment tools and group evaluations, and in some cases, I get the participants’ supervisors involved. 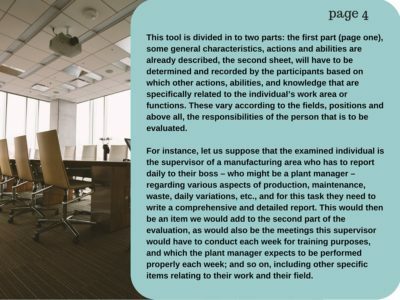 managers have remarked on how much they have liked this tool, which is simple but has helped them realize how their employees view themselves, and when they compare this perspective with the evaluation performed by their direct supervisor. it helps them create an action plan to improve and develop each employee in the areas in which they are lacking expertise. 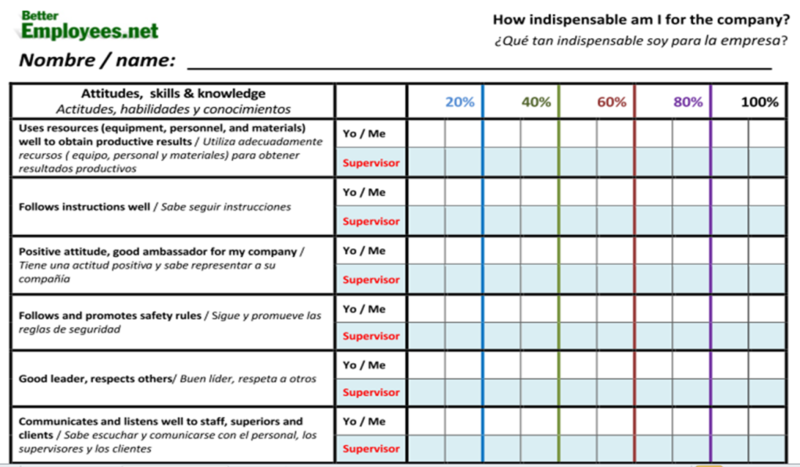 Other feedback I have heard from directors when they apply this tool is that they have realized that, in some cases, their employees see themselves as or believe themselves to be better than what their supervisors expect of them, and this has occasionally led them not to try to improve themselves. There have also been instances where supervisors see employees better than they see themselves, which could indicate a lack of self-esteem in the employee. Before we continue, I suggest you download and print the evaluation tool provided, so that you can follow my instructions properly. Do You Know the REAL Cost of Your Turn-Over? Our engaging online program will improve the leadership and management skills of your supervisory team to improve the productivity of your company. We will work with your company to find the right set of training classes that will improve the efficiency and productivity of your Spanish-speaking employees. Turn Your Hard Worker into a Effective Leader! 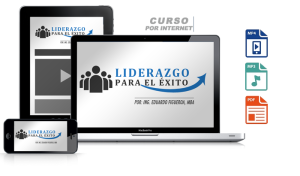 Leadership for Success is the program that will help you turn your Spanish-speaking employees into more accountable, responsible, and committed leaders.